iBerry Auxus Nuclea N1 with 1.5GHZ Quad core CPU paired with 1GB of RAM was announced few days back . The device has 5inch Active Matrix Display with OGS technology having Full HD 1080p resolution . iBerry Auxus Nuclea N1 has been announced at price of RS 15990 . iBerry is a well known the name in the field of tablets . It seems that company wants the same in the field of Android powered smartphones . Now , iBerry has introduced its new flagship device ” iBerry Auxus Nuclea N1 ” that comes with extra ordinary specs . The specs of the device makes it apart from other Budget Quad core Devices available in the market . The device will be powered by Quad core processor ( Mediatek MTK6589T) chipset clocked at the speed of 1.5 GHZ paired with 1GB of RAM . Now you can pre book the device from iberry’s official website . Well if you pre book the device you can save bunch of RS . The actual MRP & price of iberry Auxus Nuclea N1 is higher than PRE booking ammount . According to us iberry has won the race , but that is not only the , there will be more in future . 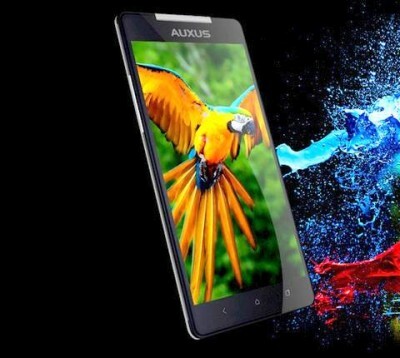 iBerry Auxus Nuclea N1 comes with 5inch active Matrix display with OGS having resolution of 1920×1080 pixels ( Full HD ) . The device draws its strength from 1.5GHZ Mediatek MTK6589T Quad core processor integrated with 1GB of Ram . To capture the beauty of the nature the device will have 13MP rear auto focus camera with BSI sensor & LED flash light . At the front the device will have 8MP camera which is fairly impressive . iBerry Auxus N1 is capable of playing as well as of recording Full HD 1080p videos . The device is stable competitor of Micromax Canvas 4 A210 . Yes , you heard absolutely right , the iberry Nuclea N1 also features SMARTPAUSE . Which can be also find on Micromax Canvas 4 . SMARTPAUSE means that , when you look away from the phone while playing movies the handset will pause the video & will automatically resume when you look agian to the phone . It also comes with voice unlock feature . iBerry Auxus Nuclea N1 houses 2800mAh battery to power the device . Android 4.2 jelly bean OS will be there to put alive the hardware and make the device run . Iberry Nuclea N1 FHD also ofers Features like 3G , 2G , Wifi , Bluetooth , GPS , Gesture Control , Voice Unlock , 3.5mm audio jack & micro USB ( might have OTG support ) . To improve the graphics & Gaming experience there is PowerVR SGX 544MP 357Mhz GPU . The benchmark scores that we will get from the device will be surely impressive . The iBerry Auxus N1 has proximity , light ,magnetic,acceloerometer & G- sensor . The expandable memory is up to 64GB via SD card . Gionee Elife E6 is also going to be launched shortly in period of time in INDIA which is also powered by 1.5GHZ 4 core CPU . Micromax has already launched Micromax Canvas 4 A210 . UMI X2 & Lemon A4 are the another device with FHd resolution . All above devices are rival of the N1 . But the real competition will be with Canvas 4 , Xolo play T1000 , Xolo Q1000s & Gionee Elife E6 in India . The device will be surely liked by the Indians & it seems to be better than Micromax A210 canvas 4 . As it has 5inch 1080p full HD with Corning Gorilla Glass 3 protection . At the front it has 8MP camera & it has 1.5GHZ quad core cpu which is again better than canvas 4 . The actual price of iBerry Auxus Nuclea N1 is RS 18000 but you can get it at RS 15,990 via pre-booking the device . iBerry AUXUS Nuclea N1 toughness test and review (above video ).